A dozen San Luis Obispo County (a.k.a. 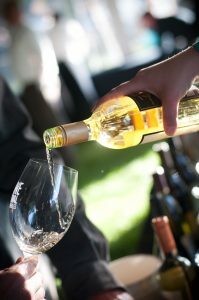 SLO CAL) destination experiences await at the Seattle Wine and Food Experience Grand Tasting Feb. 26. And these are just a small sampling of what the area, on the California Central Coast, offers oenophiles and foodies. 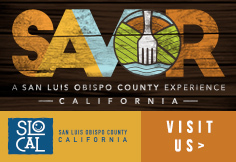 This is the first year that SLO CAL is bringing the SAVOR: A San Luis Obispo County Experience on the road event. The new traveling showcase features the wine, food and lifestyle experiences that the region offers visitors – more than 250 wineries, burgeoning breweries, a bevy of restaurants and artisanal food purveyors plus a coastline location midpoint between Los Angeles and San Francisco. 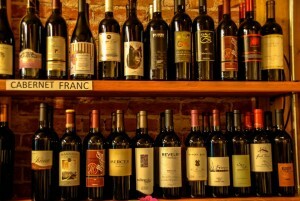 Stroll through SAVOR to meet local and regional producers of wine, beer and spirits. Taste the diverse wines. Learn directly from the artisanal food producers, through sensory experiences and educational components, about the unique tasting experiences you could have in SLO CAL. On hand in Seattle the SAVOR experience will also feature aromatic lavender from a SLO CAL grower. 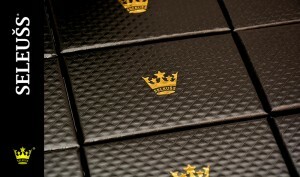 Guests are invited to fill a sachet destined for scenting a room or adding flair to a culinary delight. Wafting through SAVOR will also be the scent of freshly baked cookies from the family-owned Brown Butter Cookie Company. Trump sweet with savory by sampling olive oil grown and pressed right in the country. Sample SLO CAL wines from inland areas including Edna Valley, Arroyo Grande Valley and Paso Robles Wine country. 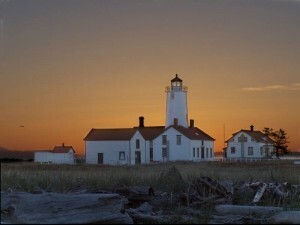 The selections show diversity and are often aligned with the bold style of Washington State wines. More than food and wine, SLO CAL with its average of 315 days of sunshine, has many destination experiences poised to make memories. The coastal location offers up fishing, kayaking, wind surfing and sand castle building. Inland and mountainous locations have premier hiking, cycling and zip line opportunities. Visiting this special part of the California coast is getting easier this April. Alaska Airlines has announced new direct service from Seattle to San Luis Obispo. 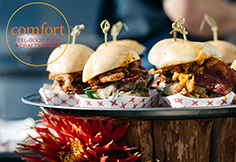 So, come down to SAVOR – A San Luis Obispo County Experience at the Seattle Wine and Food Experience Grand Tasting on Sunday, Feb. 26. 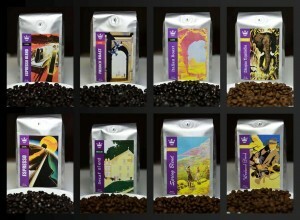 Get a sample at SAVOR, then plan a SLO CAL trip. See for yourself how much this destination has to offer. For more information on SLO CAL, visit www.SLOCAL.com. Just 30 minutes outside Seattle, Woodinville Wine Country is the gateway to Washington wine. 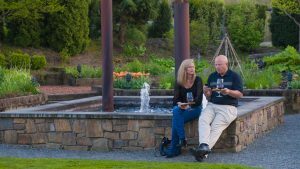 With most grape growing happening over the Cascade Mountains, on the state’s east side a two-hour drive away, Woodinville is poised close as a convenient wine tasting region. It is in this small, scenic Sammamish River Valley that fruit from the Eastside meets many of the best winemakers in the state. Within the confines of Woodinville there are more than 140 wineries, wine bars and tasting rooms for visitors to sip and savor some of the best wines in the state, representing every appellation in Washington. From the stately Chateau Ste. Michelle and quaint boutique wineries to the garagistes “garage” wineries producing small lots of limited production wines in area warehouses, Woodinville has a variety of wine styles sure to please just about every oenophile. 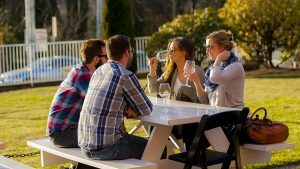 As if all the wine options are not enough, Woodinville offers up top microbreweries, distilleries, cideries and dining spots for visitors to have a total wine country lifestyle experience. Start your adventure at the new Woodinville Visitor Center, 14700 148th Ave NE, Woodinville. The Center is open 11 a.m. – 3 pm. Daily. Touring maps and magazines are available at the door and online. Another online planning tool, the event calendar, tips travelers off to various tasting room events and activities. Visit www.woodinvillewinecountry.com for details. Through several special events and activities, you can discover more of what Woodinville offers. 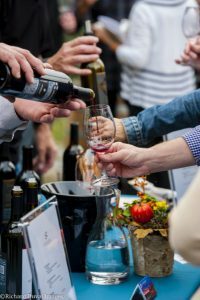 The 2017 Passport to Woodinville Wine Country is your ticket to premier wine and craft beverage destinations. 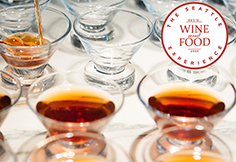 Taste award-winning wine, beer and spirits in a single weekend, or throughout 2017, with a gratis tasting fee at more than 60 wineries, brewers and distilleries. The Passport also guarantees special discounts at Woodinville Wine Country events throughout 2017. Passports are available at most Western Washington Costco locations. Looking to pick up some special selections available nowhere else? Attend the Winecraft: Spring Wine Auction. One of a kind wine auction lots from world-class winemakers will be on the block May 21, 2017. 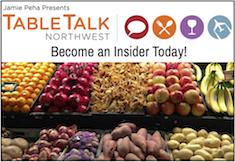 All the fun benefits the Woodinville Wine Association and the Northshore Schools Foundation. Visit the Woodinville Wine Country display at the Seattle Wine and Food Experience Grand Tasting on Sunday, Feb. 26. See for yourself how much this destination has to offer. Tim’s Cascade Snacks: Keeping it Real for over 30 years! Tim’s Cascade Snacks knows what Northwesteners like – Local Snacks that deliver a Big, Bold and Crunchy Bite! 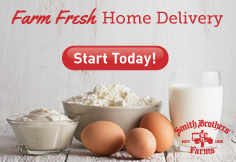 With a strong line up of fan favorites, Tim’s has proven that they can deliver. Now, with over 30 years of experience, the chip masters at Tim’s have launched a limited edition platform of specialty flavors for their Tim’s and Hawaiian lines. These Special batch items will rotate every 6 months, and will include unique and trendy flavor profiles. All of Tim’s chips start with premium potatoes direct from local family owned farms in the Great Pacific Northwest. By using the finest blends of real seasonings and spices, we guarantee you won’t be able to stop the Crunch! Tim’s penchant for Bold and Crunchy Snacks started in 1986 when Tim Kennedy and his family opened a makeshift 15,000 square foot facility in Auburn, stocking it with used equipment and a lot of muscle, hand stirring small batches of thick sliced potatoes in kettles, hand spicing and packaging them in the Tim’s signature red and white striped bag. Tim himself went out to local convenience stores, handing out samples, and it wasn’t long before the cult-like following clamored for new flavors. The snack line expanded to Hawaiian Kettle Style Potato Chips and Onion Rings and Erin’s Gourmet Popcorn, in addition to Tim’s Original Cascade Style Potato Chips. Flavor fans rewarded Tim’s in 1988 with the title of “the best potato chip in Seattle.” Tim’s accolades continue to roll in from Esquire Magazine and The American Culinary Institute and from fan mail from people all over the world. Company officials peg the partnerships with local growers as key to the snacks success and its hallmark fresh flavor. Tim’s snacks are made fresh going from farm to tin in less than two hours. Three local growers have been providing Tim’s with tasty local potatoes for more than 25 years. Today, Tim’s chips, snack rings and popcorn items are produced in the modern Algona, Washington facility by more than 85 dedicated employees. In addition to making top snacks, Tim’s is a top employer. The company was named one of “Washington’s Best Companies To Work For” in 2008 and receiving the 2011 Award for Better Workplace form the Association of Washington Business. The Association of Washington Business honored Tim’s for outstanding workplace practices in 2003 and 2004. Even before environmental practices were part of day-to-day business, Tim’s Cascade Snacks used less, reused more and recycled. Since 1986 Tim’s believes it is the only way to do business. As a result, the company was named tops in water conservation and packaging reduction in addition to earning a ten year continuing Environmental Commitment Award. The company’s ongoing Green Team, established more than 15 years ago, continues to sleuth out efficiencies in the production process. During this year’s POP! Bubbles & Seafood, Friday, Feb. 24, Callebaut Belgian Chocolate presents a Chocolate Lounge featuring creations from some of Seattle’s top pastry, bakery and confectionary chefs. The POP! 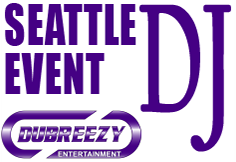 event, held at Seattle’s McCaw Hall, is the leading event to the three-day Seattle Wine and Food Experience Feb. 24, 25 and 26. At POP! guests will savor some of the best seafood the Pacific Northwest has to offer, from salmon and clams to oysters and shrimp. 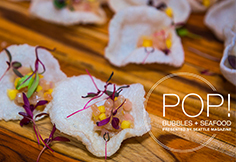 This bounty perfectly paired with sips from more than 30 sparkling wines from around the world, plus cold beer, cider and white and red wines. The delicious Belgian chocolate treats prepared by Alina Muratova, Executive Pastry Chef, Washington State Convention Center; Michael Poole, Chocolatier, Hot Chocolat (editor: sic); Junko Mine, Pastry Chef, Café Juanita; Matt Kelly, Executive Pastry Chef, Barking Frog/Willows Lodge; and Brittany Bardeleben, Pastry Chef, Tom Douglas Restaurant Group will be the perfect cap-off to the evening. 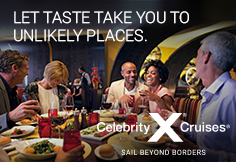 These chefs will surprise and delight guests with amazing flavors. Callebaut Chef for the United States, Russ Thayer, will also be at the Chocolate Lounge to greet customers and answer questions on anything chocolate. The partnership between these chefs, and hundreds more across the U.S., with Callebaut Chocolate focuses on the go al of together striving for great taste using imagination and inspiring innovation. Steeped in tradition and history, Callebaut Chocolate has been making chocolate, from cocoa beans, in the heart of Belgium for more than 100 years. From a century ago through today, Callebaut continues to select, roast and grind cacao beans into its own signature blend. That unique blend is high in cocoa butter content, perfect for gourmet and culinary professionals who require a classic flavor profile and consistent product. The company originally produced malt and dairy items beginning in 1850, later producing chocolate from roasted whole beans, and finally exporting chocolate to chocolatiers around the globe in 1950. Using bean-to-chocolate processing and roasting whole beans preserves flavors and aromatic oils. Callebaut’s time-honored roasting methods continue through today. 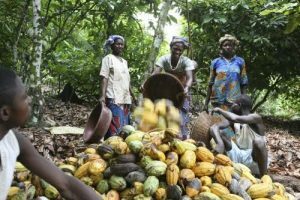 With this background, the company is firm in the belief that the success and future of the business depends directly on the future of cocoa cultivation and the cocoa farming communities. To meet that demand Callebaut started the Growing Great chocolate program in 2012, making a bold shift to source only sustainably grown cocoa for all its finest Belgian Chocolate recipes. 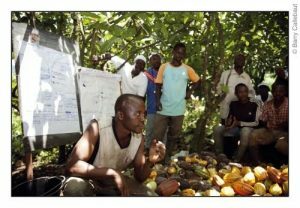 For every block or pack of Callebaut Finest Belgian chocolate purchased, the company reinvests a portion into farmer training and social programs in the cocoa gowning communities through the non-profit organization Cocoa Horizons. The result is that chefs creating sweet selections, crafted with Callebaut Chocolate as an ingredient for their guests, directly support sustainable cocoa farming in a delicious way. Be sure to spend a portion of your stay at POP! 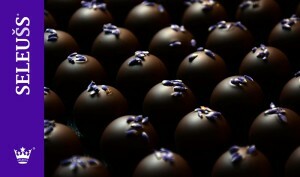 in the Chocolate Lounge discovering tasty Callebaut Belgian Chocolate Friday, Feb. 24. Just about two hours from Seattle is a spot where the wine, beer and food experiences never stop. That spot is the sunny Yakima Valley. 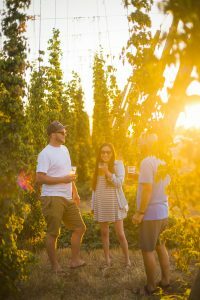 With wineries, breweries, restaurants and farms galore, the Yakima Valley is a great destination to craft your own beverage and food adventure. The Valley is blessed with the perfect climate for growing things; 300 days of annual sunshine, volcanic soil and consistent access to water have made the Yakima Valley one of the most important agricultural regions in the world. It is here that more than 75% of the U.S. hops are grown, surpassing even Germany in total hop production. In fact, two-thirds of Yakima’s hop crop is exported around the globe. The focus on hops keeps Yakima Valley growers on the cutting edge of the hop industry, and always seeking better standards to manage and grow this important crop. With all the abundance of hops, it’s no wonder the Yaki ma Valley boasts a bevy of craft breweries. Here you can enjoy an IPA made from hops pulled off the bine that very morning, or rub elbows with some of the biggest brewers from around the world as they hand-select hops for their next brew. This Valley is also the cradle of Washington wine, with some grape plantings dating back more than three decades. Today, more than 120 wineries within five American Viticulture Areas (AVA’s) are compacted into 70 miles of scenic vineyards, where they produce hundreds of varieties of handcrafted, award-winning wines. 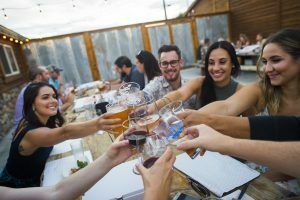 The local restaurants punctuate the Valley’s unique position in the craft beverage world by offering local beer and wine paired menus and seasonal dishes that compliment various agriculture industries. It is in these restaurants where you see that farm-to-table is more than a catch phrase. Yakima restaurants practically invented it, since the fertile valley is where more than 40 commercial crops are raised — the largest variety of produce grown in the Pacific Northwest. Getting fresh and local produce does not end at the restaurant’s door. There are pick-your-own locations, farmer’s markets and farm stands open just about daily during the growing season. Come visit the Yakima Valley Tourism exhibit at the Seattle Wine and Food Experience, Sunday, February 26, and see for yourself how this destination offers up a variety of craft beverage and food experiences that are sure to become cherished memories! It was a chance meeting of tater tots and ketchup that pointed out to three graduate students that ketchup needed to up its game. citement where none existed – the condiment aisle of the supermarket. That shining success moved those grad students to taking their product to the supermarket shelves. They named their company Red Duck Foods paying homage to the red tomatoes in their ketchup and their alma mater’s mascot, the Ducks. Sales started while they finished school with three signature ketchup flavors (Smoky, Curry and Spicy) on the shelves of 6 stores in Eugene in May of 2013. However, Cascadia quickly embraced this burgeoning brand and the ducks took off. After early success with the ketchups, Red Duck soon released a bright cocktail sauce to accompany delicious Pacific Northwest seafood in January 2015..But that certainly wasn’t the end of the line. Most recently, Hilbert, Oliver and Bonner took a long and hard look at what was available and again found something missing in the supermarket condiment aisle: honest and clean BBQ sauces to accompany the incredible local produce, meat, and seafood they’ve grown accustomed to enjoying. Plus, Red Duck Foods’ barbeque sauces can fit any mood with three distinctive flavors: Smoked Applewood Molasses, Hot Honey Chipotle and Sweet Mustard Peppercorn. 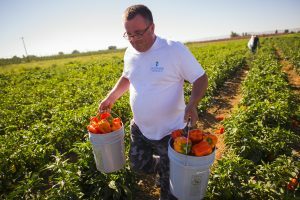 After a successful launch of the new BBQ sauce line, the company founders visited California tomato farms this past August to meet the growers and better understand the superiority of their tomatoes. It’s those honest flavors that keep Red Duck on its upward trajectory. Today, while the Pacific Northwest is Red Duck Foods’ stronghold, their sauces are now available in 1,300 stores across the country. Come sample Red Duck Foods’ ketchup with character and the new line up of barbeque sauces at the Seattle Wine and Food Experience, Sunday, February 26. 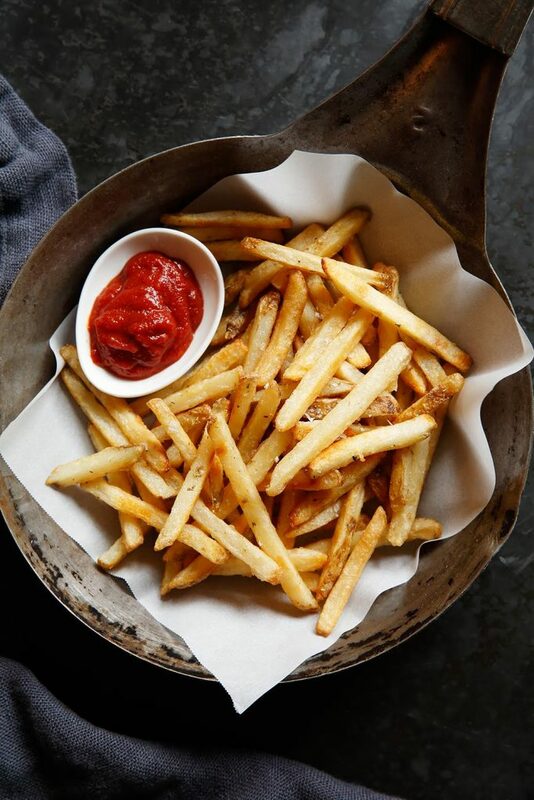 See for yourself how superior quality, creative flavors and organic ingredients can elevate condiments and make eating a French fry an “A” experience. SELEUŠS Chocolates’ creator Alexander Long is a puzzle master. As a weapons designer for the U.S. military, he has put pieces together to solve needs on a daily basis. 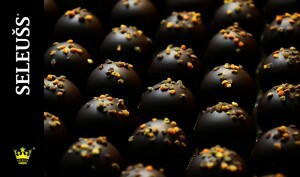 Chocolatier Alexander came to confections as a passion. During his travels around the world, he sought out the best chocolates to bring home as a remembrance of the spots he visited. These pleasing delights helped him lay his palate foundation and opened the door to his decision to give crafting even better examples of chocolate himself. Early on, Alexander strategically steered clear of entering the sea salt caramel arena, instead developing his expertise in floral flavors—infusing ganache with essences of orange blossom, rose, lavender, hibiscus, and violet serve as his main line treats. He has also found that the slightest percentage of chocolate adjustment does matter when it comes to achieving his preferred flavor profile of chocolate. SELEUŠS Chocolates’ Orange Blossom Honey confection begins with a honey truffle ganache that includes the essence of Spanish Organic Blossom Honey within the organic cream and 49.66% chocolate ganache. The morsel is then covered with two layers of dark chocolate, one of 52% the other is 73-75% and topped with wild flower bee pollen. The Hibiscus + Violet offering starts with organic milk steeped with hibiscus flowers then added to a 49.5% chocolate ganache. Its two coating layers are made with 52% and 73-75% chocolate. Violet flower petals adorn the creation. Alexander also wanted to solve the puzzle of chocolate flavor perfection itself. He seeks chocolate flavor over sugar flavor as the hallmark component in confections. Through his ten years of research, he came to believe that this holy grail was more difficult to discover than defense tasks. He admits his first 5,200 batches were not great. Just when he thought he had the solution, other challenges would come up and Alexander would always question how he could make his offerings better and better. That is the puzzle-solver’s self-challenge, how to do it and make it better. 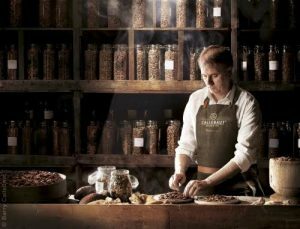 For the past two years, SELEUŠS Chocolates’ Alexander has been sourcing the globe for the best ingredients. He is strictly against artificial food colorings and enrobes his truffles in two layers of dark chocolate each with a different percentage of chocolate to tame any sugar-sweet flavors that might come through. He has expanded his offerings into the beverage-inspired realm with coffee and tea flavors plus a boozy assortment featuring brandy and eau-de-vie fruit brandy. Each of the chocolates is topped with real food elements ranging from crushed rose petals and lavender petals, to crushed orange peel and wild flower bee pollen. SELEUŠS Chocolates also offers a line of chocolate bars, each crafted by hand and lavishly adorned with real food decorative elements including floral petals and caramelized cocoa nibs. The Kirkland, Washington-based SELEUŠS Chocolates will be at the Seattle Food and Wine Experience showcasing their offerings. SELEUŠS Chocolates are also available online and at both Seattle locations of The Finerie and McCarthy & Schiering on Queen Anne. February isn’t just the time for Valentine’s and romantic love it’s also a time to celebrate LAMB! 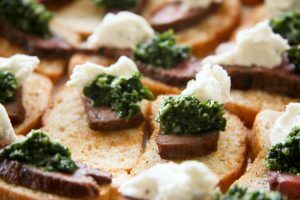 American Lamb Lovers Month is full of fun and goodies including giveaways, events and delicious recipes. 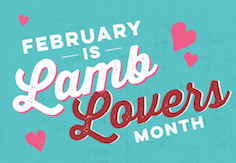 Pop over to the American Lamb website and find out your “Lamb Language of Love” by taking their Lamb Lovers Libs quiz! EWE could be a “Classic Romantic”, “Homebody Lover” or even “Looking for Love”. And the best part? EWE will be entered in a contest to win one of these LAMBTASTIC prizes! Northwest Travel and Life magazine brings together an exhibit from a variety of Northwest regions from Alaska to Oregon showcasing the growing agri-tourism from each region. 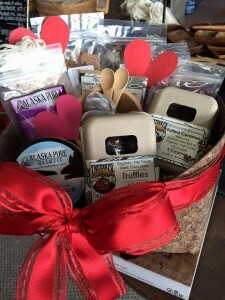 Taste from a variety of their regionally grown and produced products ranging from honey to wine and cider to chocolate. Fresh, local food and farms have been an essential part of island life in the San Juan Islands for generations. Experience a simpler time as you eat fresh oysters, clams and crab overlooking a shellfish farm at sunset, stroll through purple fields of culinary lavender or sip wine in a vineyard garden. 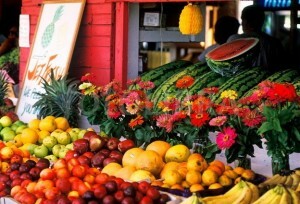 Pick up salad greens, fruits and vegetables, grass-fed lamb, or fresh eggs for your breakfast at one of the islands’ many roadside farm stands. The range of farm-to-table experiences is almost endless, from a farm-to-table dinner at one of the many island restaurants, to a relaxing stay at a country inn nestled next to a farmer’s garden, to bustling farmers markets on Lopez and Orcas Islands, as well as the newly expanded San Juan Island market at Brickworks in Friday Harbor. All year round you’ll find quality local products, wine and beer dinners and other educational events. 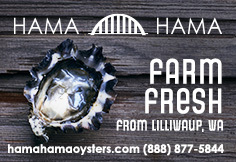 Experience the sense of community shared by island growers, fishers, ranchers, winemakers, distillers, brewers, chefs and other agricultural artisans who invite you to share the bounty of the islands. Food just tastes better when consumed close to the source. Some folks know Eastern Oregon for its beautiful landscapes, fresh air and crystal streams, all of which inspire artists and contribute to the flavor of everything grown here. Some know you can dine on trout plucked from a mountain lake; cut into a succulent steak raised on the region’s lush pastures and sage-scented hills; savor herbs, greens and vegetables picked from a backyard garden; bite into incredible chocolates infused with lavender grown next door, or cheese made within earshot of Bessie, who gave us the milk. Their microbrews, wines and spirits frequently win national and international accolades, you’ll want to rate them yourself! Let’s face it – most people have never set foot in Oregon’s “Out East,“ let alone savored its flavors. They’re trying to change that. Bordered by ocean, river and bay, the Long Beach Peninsula is known for its abundance of ultra-fresh fish and seafood and the talented chefs whose splendid preparations make for mouthwatering fare. 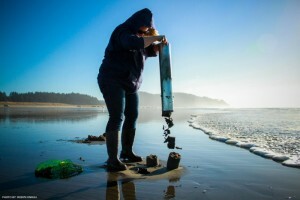 World famous Willapa Bay oysters, mythical spring-caught Chinook salmon, prized Dungeness crab and the ever elusive razor clam are among its many riches. This 28-mile long finger of land is also home to century-old cranberry bogs, some yielding the first certified organic berries in the state. The region’s edible wild mushrooms are plentiful and celebrated. Artisan food producers and specialty farms complete the mix of culinary offerings. Located in the wildest corner of the Pacific Northwest, Sitka is home to Alaska’s premier sustainable fisheries and celebrates a long history of local foraging. 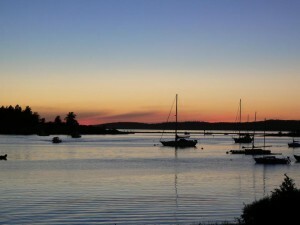 It’s astounding beauty and pristine waters are the lifeblood of this vital community. Alaska Pure Sea Salt is hand crafted from the same clean, cold water. This little known destination is the definition of wild, pure culinary exploration. Acres of pristinely cared for orchards and fields of fresh produce are prevalent in an area where U-pick farms and local farmers markets thrive. Producing the majority of the state’s grapes, apples and other soft fruits, Kittitas County lies in the heart of Washington State. With over 19,000 residents employed in the wine industry, you can only imagine the miles of grape orchards and the delectable fine wines that are created! The Terroir of the Kittitas Valley ripens late, producing low yields with small berry size, deep color and great concentration of fruit flavors. The temperatures may be 3-5 F cooler on average from the rest of the Columbia Valley AVA, but the increased hours of sunlight from a more Northerly latitude during the middle of the growing season provide optimal conditions for intense fruit flavors in the wine. Ellensburg, Washington prides themselves on the level of quality, freshness and locally-sourced ingredients that are used to create the magnificent menus in many popular, locally-owned restaurants, wineries and breweries. Satisfy your taste buds with a variety of flavors today in our one of kind, historical location! For Part 1 of this article click here. Perennial Seattle Wine and Food Experience favorite QFC, returns to the 2016 event with specially selected reserve wines. For more than 60 years QFC has been the quintessential “neighborhood market” in Western Washington and has set the standard for grocery store wine departments. The bar is set so high that QFC sells more wine than milk (generally the number one seller in grocery stores)! 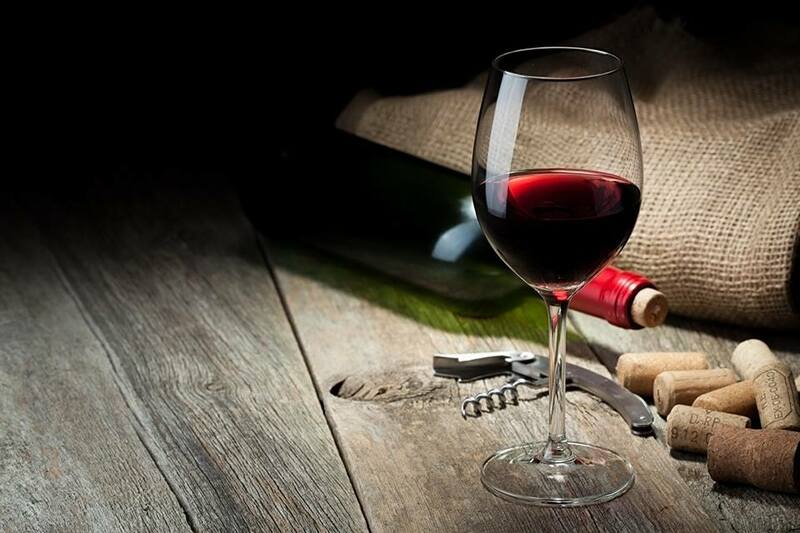 QFC was the first store to employ a wine sommelier to special pick the bottles you can find in store. Each store has a vast array of reserve caliber wines and many are housed in special “cellar” rooms overseen by a team of wine stewards. They are on hand to help select the perfect wine for your needs – be it a special dinner, night with friends or as a gift. The steward team also goes above and beyond to meet each customer’s needs – if you are looking for a specific bottle and QFC doesn’t have it, they will special order it for you. Tip: make friends with your wine steward! Centrally located in Healdsburg, the heart of Russian River Valley, J Vineyards & Winery wines originate from their estate vineyard and represent the essence of Russian River Valley terroir. Sumptuous, decadent, and true to varietal character this Pinot Gris has the distinctive J style. Stop in to the QFC lounge and experience it with local wine stewards. Talbott Vineyards is the story of one family’s determined focus and commitment to excellence. Their estate vineyards are located in beautiful Carmel and Monterey California. This 100% Estate Chardonnay represents the lushness, grace and great aging potential that have become benchmarks of quality on the Central Coast and Talbott Vineyards. It is being poured at the QFC lounge and pairs beautifully with several of the Murray’s World Class cheeses as well. The estate is based in Fumane di Valpolicella, just north of Verona in northeastern Italy. 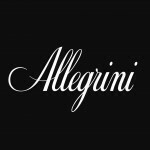 The Allegrini family has been handing down grape growing and wine producing traditions over many generations. Their winemaking philosophy is largely based on the concept of “cru” production: a single vineyard dedicated to the production of local varieties destined to become a single wine. The blend is the historic combination of Corvina and Rondinella with the addition of a small quantity of Sangiovese. A small percentage of the harvested grapes are left to dry out until December, then added to the previously vinified fresh grapes. The result is a velvety, well-balanced red wine that offers profound, mature fruit. of the variety in Washington State. 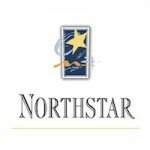 Diversity of vineyards and sub-appellations within the Columbia Valley are Northstar’s hallmarks. Fruit is selected from the very best possible sources throughout the Columbia Valley. This highly structured wine was created to enjoy now, or for many years to come as it will age gracefully and is featured in the QFC Lounge! The land that the Corkrum, Derby and Elvin families farm today is rich with history dating back to the mid 1800’s, when current vineyard owner Shari Corkrum Derby’s grandfather Uriah Corkrum began farming in the area. n 1993, Shari and Dean Derby planted the first grapes at Spring Valley. 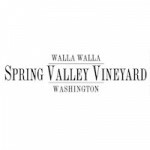 The first vintage of Estate grown and bottled Spring Valley Vineyard wines were produced with the 1999 vintage. This New World-styled and highly structured, fruit-driven Cabernet Sauvignon blend’s name stems from Frederick Corkrum, son to Uriah and father to Shari. Our current 2012 blend is one of the featured reserve wines in the QFC Lounge. Come in and taste some!